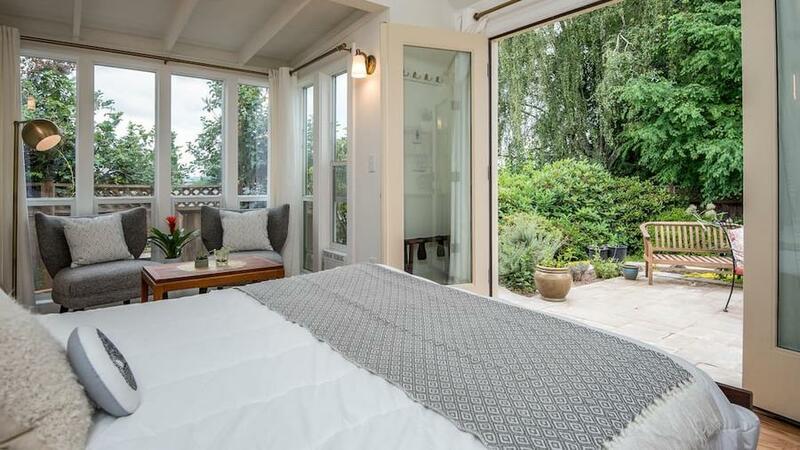 Break free from the mold in this pentagonal garden studio. It’s filled with cozy decor for you to enjoy when taking a breather from exploring Portland, and has walking access to restaurants, movie theaters, bars, and more. 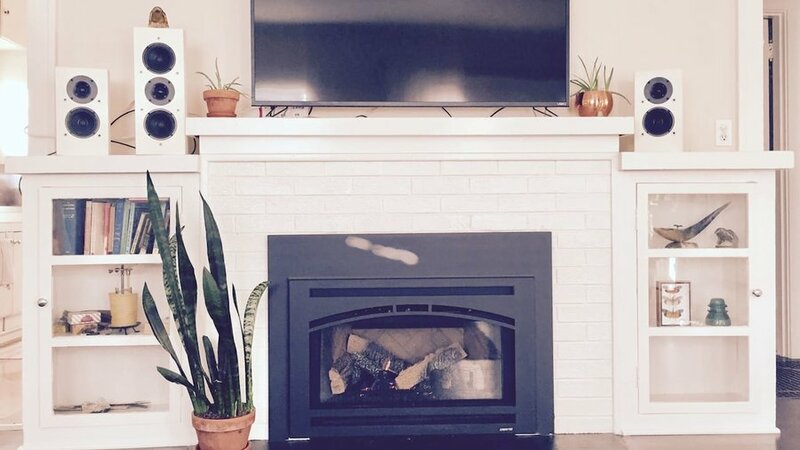 This 1900’s home comes with Dutch farmhouse style and quirky decor. 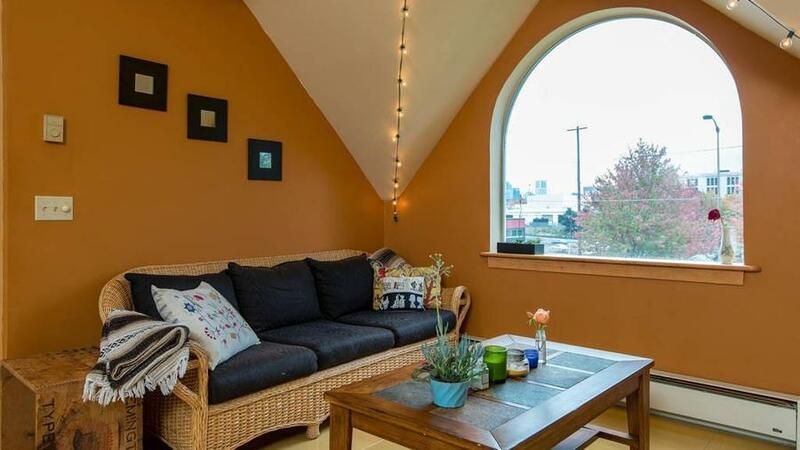 Located 15 minutes from downtown, the home is near a convenient bus line that takes you to Portland’s major spots. 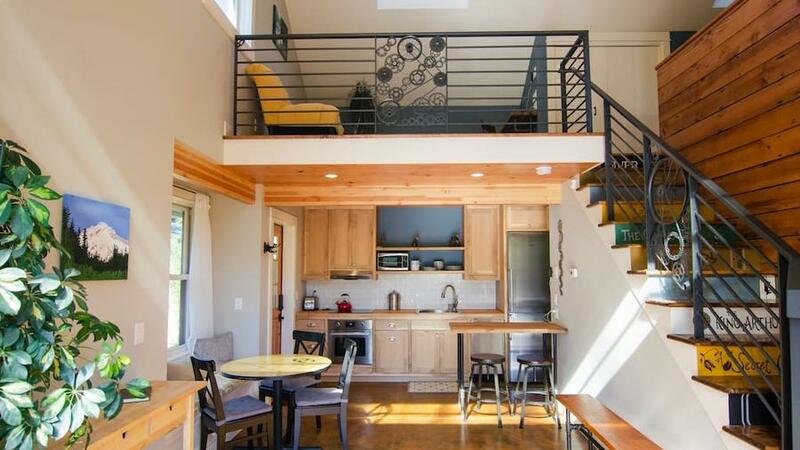 Go net zero while staying at this ranch duplex. The home produces all its own electricity, so you can rest easy as you enjoy the modern and minimalistic interior. A nearby bike share enables you to take full advantage of this Airbnb’s Portland location. We’d move into this Airbnb if they let us. A garden studio complete with vaulted ceilings, a seating area for two, and French doors to a private seating area outside, you’ll almost forget to leave and explore the nearby Division/Clinton Dining District. This lofted backyard guest house is not only adorable inside, but also surrounded by a backyard garden and situated near a wide range of fun neighborhood spots. Built by the homeowners, the space is intended to feel bright and open while still being a cozy, compact home. Contemporary exteriors don’t get any dreamier than this. 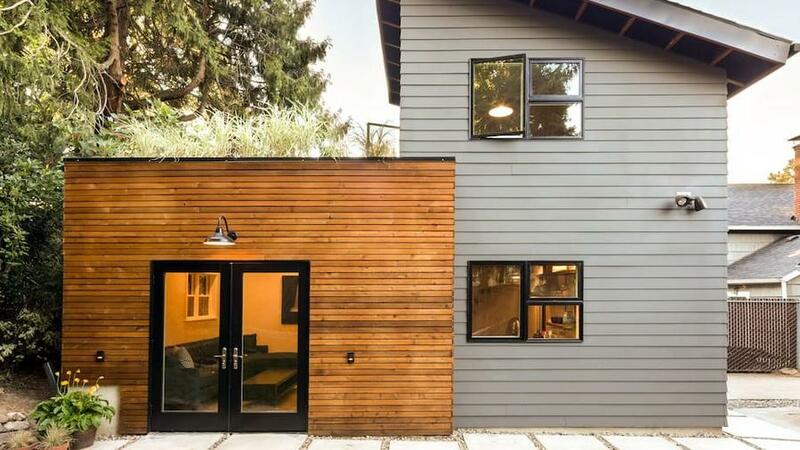 Go eco in this Portland tiny home that oozes modern style inside and out. Bonus: You'll have easy access to downtown and bus lines. This miniature house draws design inspiration (and a name) from the backyard bike shed it’s attached to. 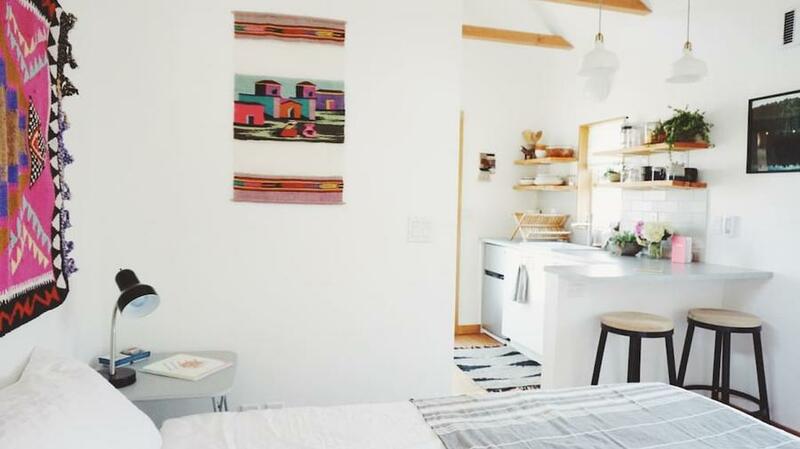 The word shed doesn’t begin to describe the Airbnb’s open loft space, full kitchen, and overall spacious layout. Just a few blocks from Alberta Street, the location makes it oh-so-easy to indulge in legendary ice cream shop Salt & Straw. 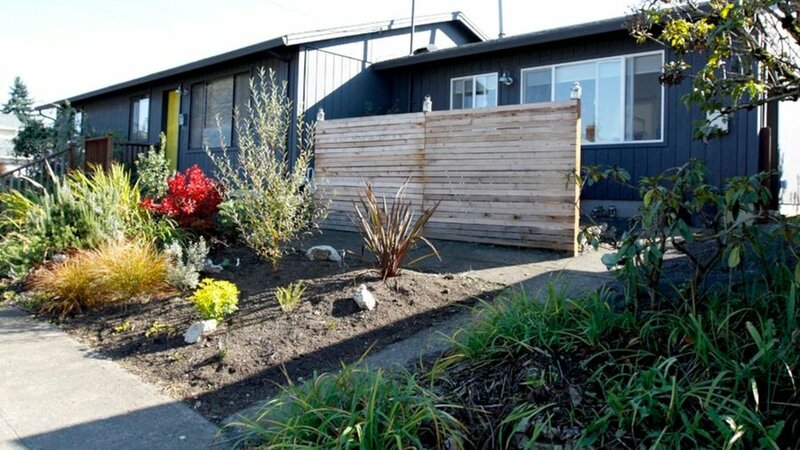 Enjoy everything the Alberta Arts district has to offer from this true tiny home. Take a short walk to numerous spots like the Alberta Co-Op, Bollywood Theatre, Back to Eden Bakery, or, just cozy up here—we wouldn’t blame you. 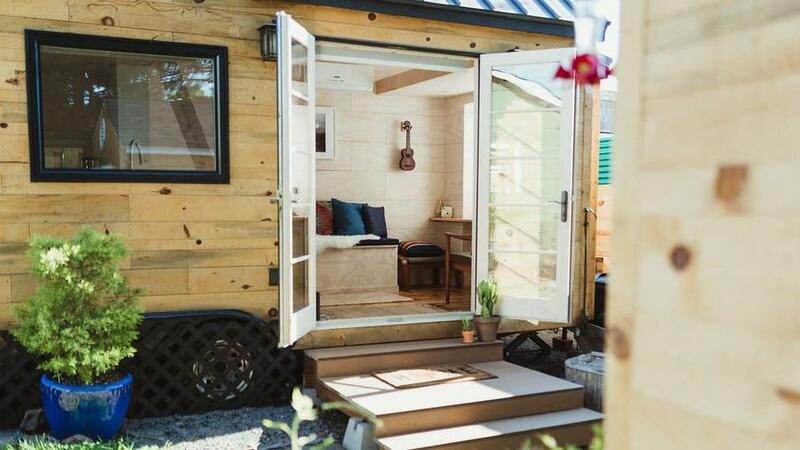 We love the organic and minimal style of this backyard tiny home, with vintage touches that give it a little extra personality. 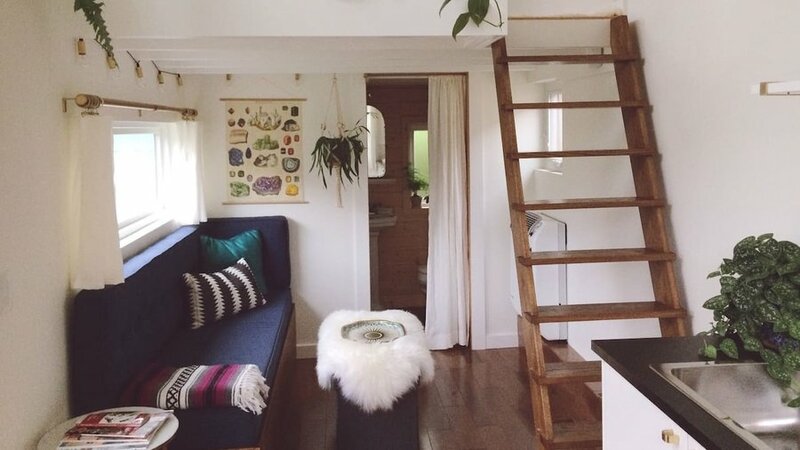 This Airbnb’s got it’s own Instagram, so make sure to tag @portlandtinyhouse in any snaps you take! Stay in the lower level of this amazing treehouse Airbnb, tucked away from the bustle of downtown while only being a few miles away from it. 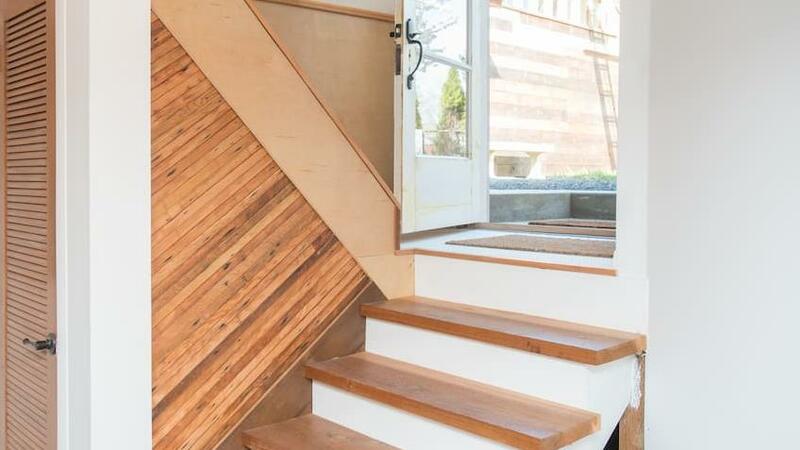 This Airbnb doesn’t just give off those hand-crafted vibes. The homeowners, a craftsman and interior designer, created the airy retreat themselves when they remodeled their basement. 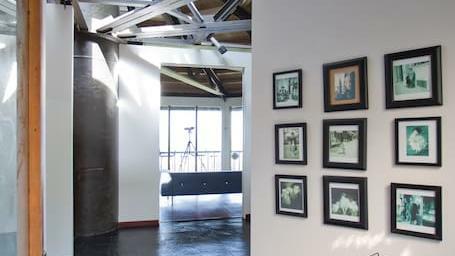 It’s in a great spot to check out well-known locations, and to experience the heart of Woodlawn. 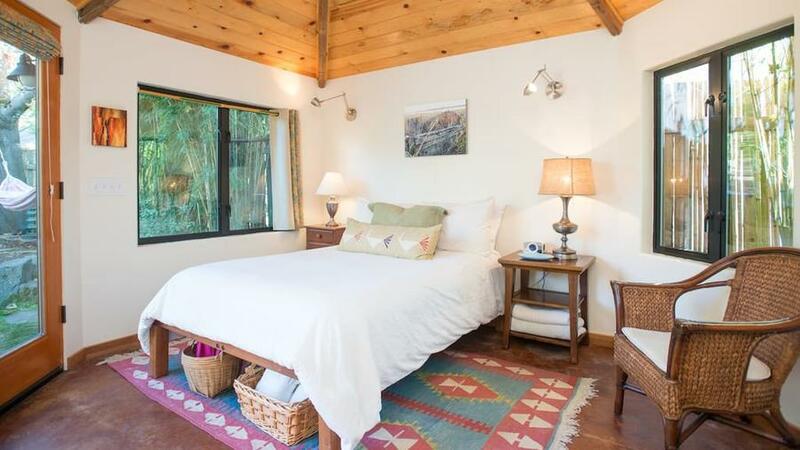 Feel like you’re right at home in this curated craftsman Airbnb, complete with a cat to cuddle with during the day. The home can sleep up to six if you’re using the air mattress, and has easy access to both shopping and the Portland airport. 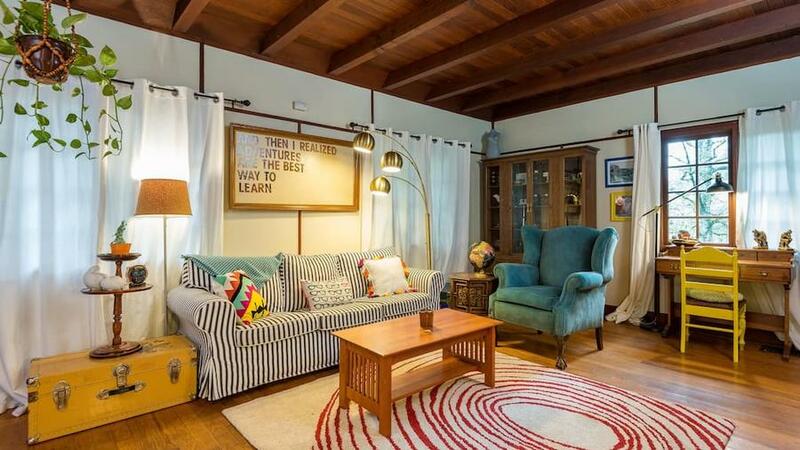 You'll love staying at this funky Airbnb apartment in the Northwest District. Visitors can walk to the Alphabet District, Forest Park, and the Williamette River, and will enjoy easy parking and permission to bring their furry family members. 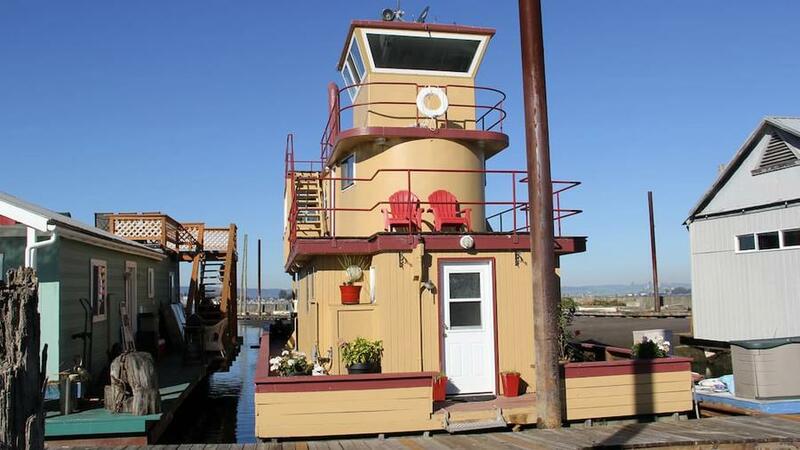 Experience the Sleepless in Seattle aesthetic firsthand at this Portland tugboat Airbnb. Well-equipped with a sleek kitchen, living room, and king-size bed, the houseboat affords views from three different decks and sights of Mt. Hood and the Columbia River. Tom Hanks unfortunately not included.